A new year and a few new additions to my skincare routine, I've always been a bit obsessed with skincare and take care of my skin relatively well, never EVER go to bed without removing makeup, in the past was an absolute sucker for buying the latest and greatest in lotions and potions promising glowing, healthy skin, but I fell into a few lazy habits, and was finding my skin was looking a bit dull and getting congested. 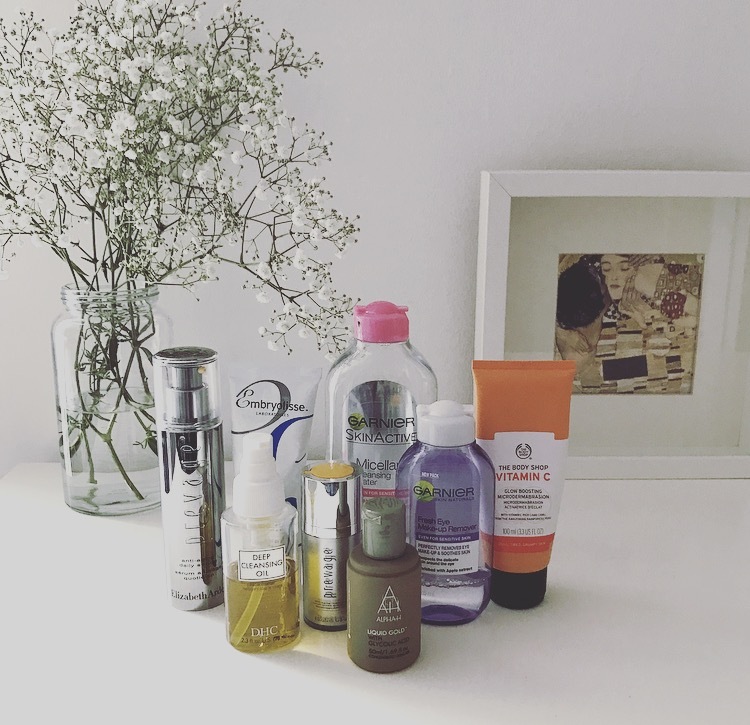 I've tried a range of products for my oily and combination, breakout prone skin in the past and found that some were having an inflammatory effect rather than helping to reduce my breakouts. Last year following a deep cleansing facial with Angela at the Emporium treatment clinic in York Street London, she gave me some sound advice that the key to keeping my skin looking and feeling it's healthiest was deep daily cleansing and regular exfoliation. So I'm spending a couple of extra minutes on my daily regime to ensure I am getting a thorough cleanse everyday and using an exfoliating product on it every day. I've realised that you can put the most expensive, hard working product on your skin, but if you haven't properly prepped it first you may aswell not bother. The skin needs to be able to absorb the products effectively. No makeup selfie - with the help of a pretty bright flash nonetheless! Seeing a real difference in my skin. I'm always keen to try new products but right now this regime is really working for me and my oily / combination skin. 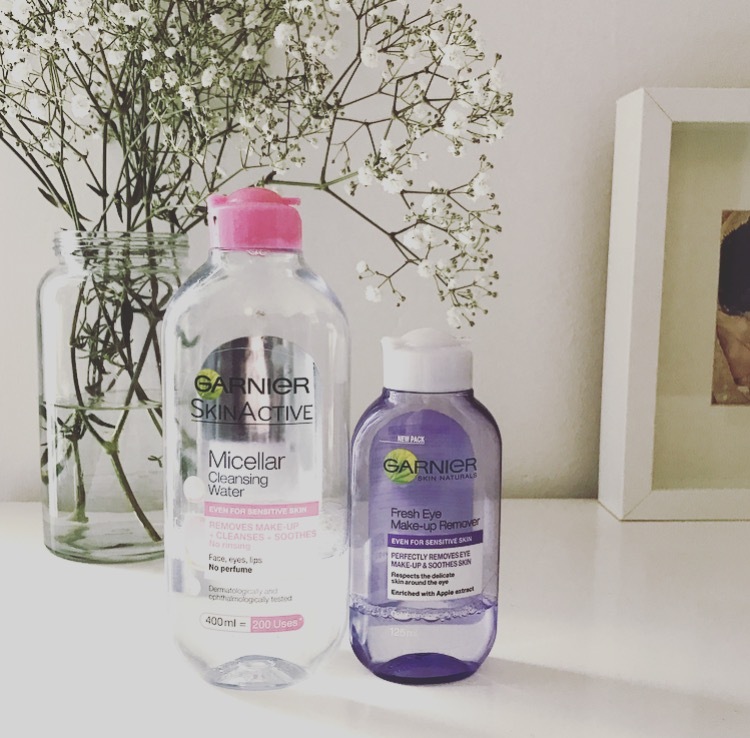 I start by taking off any makeup with Garnier skin eye make up remover and micellar water on cotton wool pads - this cleans skin far better and is gentler on the skin than using make up wipes, takes a minute of two longer but is worth it. 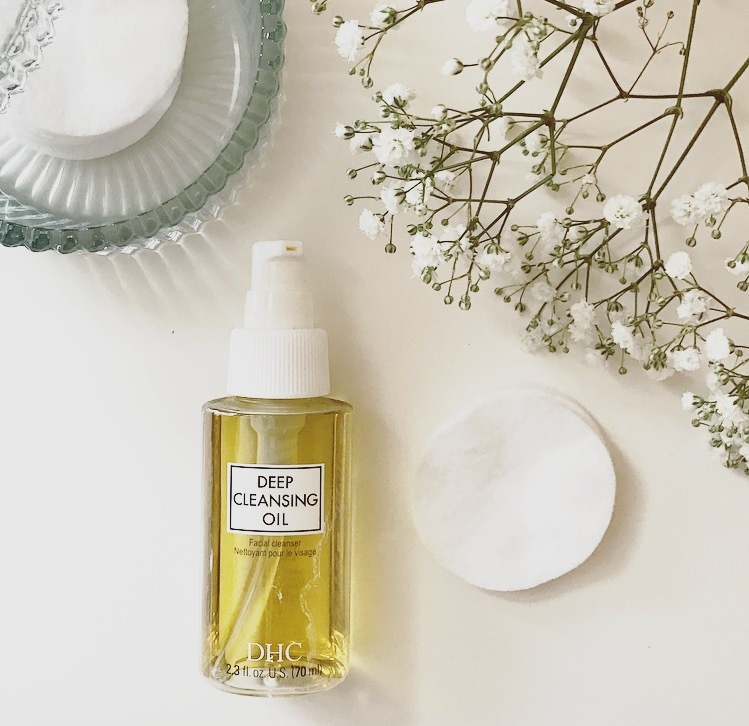 Next I've been massaging DHC deep cleansing oil, (I've previously reviewed this here) I remember reading something makeup guru Lisa Eldridge said about the massive benefits massaging your face daily so I try and make this step last around 1-2 minutes. I then remove the oil using hot damp cotton wool pads so every speck of makeup is removed. Don't be put off by a cleansing oil if you have oily, spot prone skin. It's really great for removing make up and the 'oil on oil' approach really works well. And when washed off correctly doesn't leave your skin feeling oily. 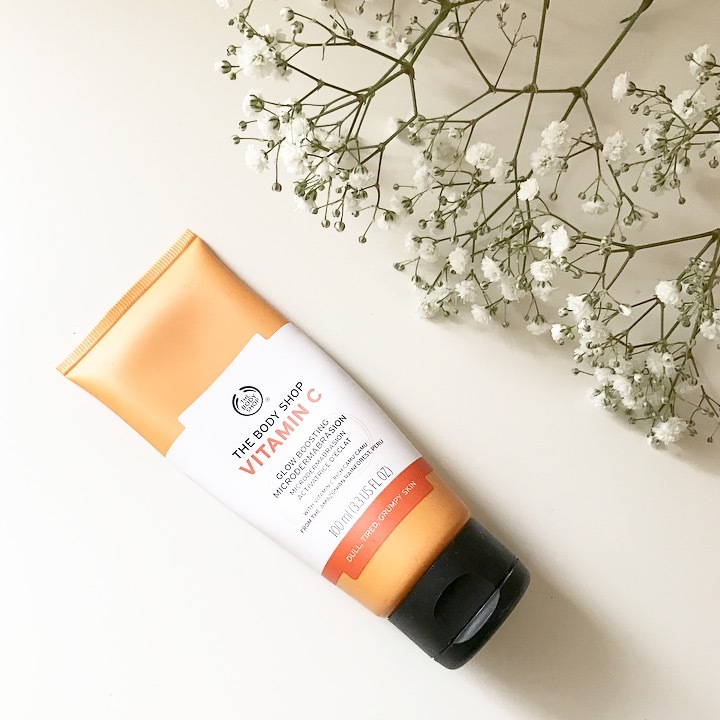 One of my absolute, all time favourite products, the Bodyshop Vitamin C Microdermabrasion 🙌🏼 (reviewed previously here) I use this 2-3 times a week. I massage it into my face then rinse off with warm water. This has really changed my skin since adding it to my skincare, in my opinion the best exfoliant I've found so far. It really delivers and leaves skin soft, smooth and more radiant. 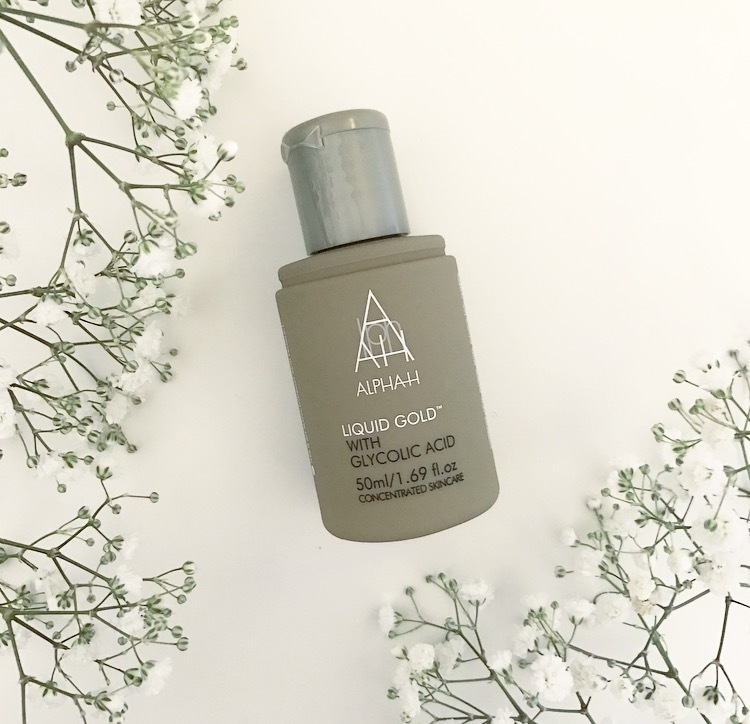 I recently received a sample size of Alpha H liquid Gold, and I'm loving it! An overnight treatment that uses sugar cane derived alpha hydroxy acid to exfoliate skin and help regenerate cell renewal, I cannot recommend this product highly enough for anyone who suffered from congested skin - it's practically diminished all of the under skin bumps I had felt under the skin around my chin. I believe this step, after my vitamin c exfoliating wash, has really been a game changer in seeing the results in my skin. Dampen a cotton pad with Alpha H lotion and sweep across your face, much like a toner, avoiding the delicate eye area. I don't put anything over the top but you can add your favourite serum or moisturiser over as a final step. On alternate nights I follow the above steps of removing my makeup and then cleanse with Sunday Riley Ceramic Slip, massage in to your skin and rinse off with warm water, then I apply the Sunday Riley Good Genes serum. (See my full review of these two products here). I'm currently washing my face with with Elizabeth Arden Prevage treatment boosting cleansing wash - this was a gift from a friend and I've nearly run out 😱. I'll definitely repurchase this, it's quite expensive for a face wash, currently £39 for 125 ml, but I think it really delivers. I then apply the Prevage Anti Aging Serum - I used this product regularly a few years ago and until I received a gift set this Christmas, had forgotten just how amazingly good this stuff is. It literally makes my skin feel and look amazing. The wonder ingredient in this is Idebenone, a super strength antioxidant that protects the skin from pollution and free radicals. It's SO pricey at £170, and I use very sparingly. If you treat yourself to one expensive skin product this year I would recommend this. The silky, yellow lotion has quite an individual scent that some people find off putting but it doesn't bother me, the results are just so good. I follow with either the Prevage spf 30 or Embryolisse lait-crème concentrate. Another old favourite, a lovely texture and a great based for makeup and, thankfully, an inexpensive choice. This is a great base for make up too. So now I've got my products in line, I need to start drinking more water and eating the right 'skin food'. 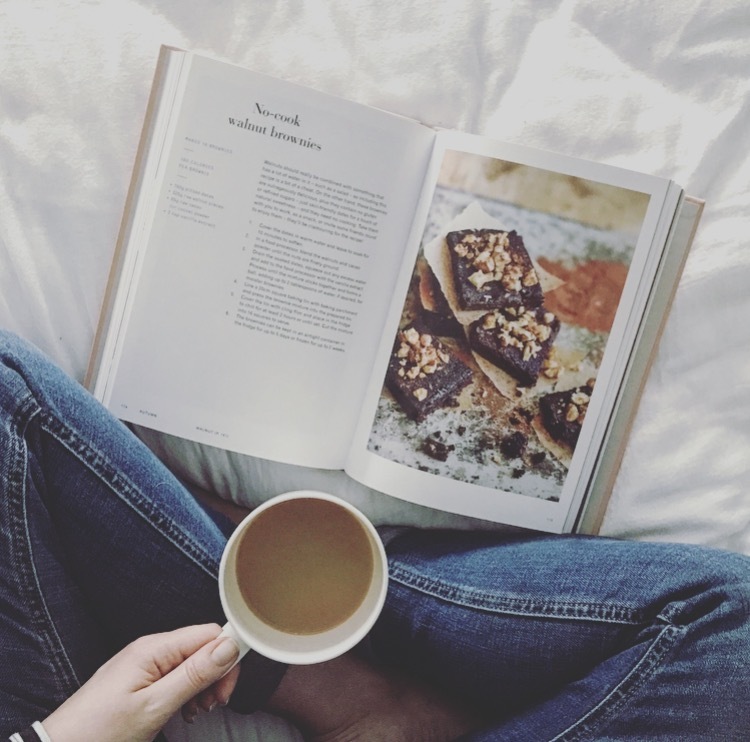 It's no secret we are what we eat and I'm hoping that 'Eat Beautiful' by Wendy Rowe is going to help me put down the pain-au-chocolate and pick the foods that will help nourish my skin from the inside out ... we'll see ... 😉 But a walnut brownie recipe that's good for my skin? YES PLEASE!